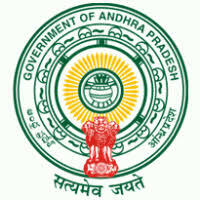 AP CSE Jobs Recruitment Notification 2018.Commissionerate of School Education (CSE) Government of Andhra Pradesh Vijayawada Bharat Scouts and Guides inviting applications for the positions of Junior Assistants, Computer Operator, Data Entry Operators.Interested and Eligible candidates can apply for the positions. Total number of vacancies to be followed by CSE is various posts. Applicants must be completed Degree/ PGDCA/ Accounts tally pack/ Scoting and Guiding. From the recognized organization/ Board. Applicants age limit for junior assistant minimum age is 25 years and maximum age is 30 years. And Organizing Commissioner maximum age limit is 35 years. Selected candidates will get pay per Rs.15,000/-. Through Computer test candidates will be recruited. Applicants may apply the application form from 10th September 2018 to 30th September 2018.